He is her only hope… and greatest threat. In a desperate bid to outrun a violent pandemic, Andy and Kay have holed up on a houseboat with their infant daughter, Rosie. When their peaceful river existence is shattered by a violent attack, Andy is infected and left with only 48 hours to find a new guardian for his child before he transforms into one of the creatures he has fought so hard to evade. Uncovering the existence of a flourishing Aboriginal community, it quickly becomes apparent that they are Rosie’s best chance of survival – but with a merciless attitude toward the afflicted, they also pose a grave threat. As Andy’s fate becomes intertwined with that of a young Indigenous girl, he comes to view her as his safe passage into this sacred community. However, she is on her own quest. They both seek salvation…but they will need to work together if they truly hope to achieve it. 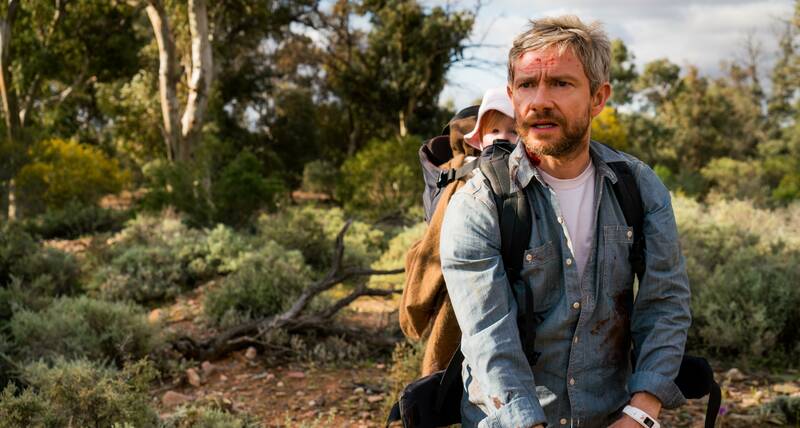 Cargo is the follow up from The Babadook producer Kristina Ceyton and boasts a top-line cast including Martin Freeman, Natasha Wanganeen and David Gulpilil.